Is someone you love in a coma due to a serious accident? If so, you're understandably dealing with a lot of stress. You may have dozens of questions: Will my loved one ever wake up? What will the future look like? How will we pay the medical bills? Is my loved one entitled to money for his or her injuries? At Edgar Snyder & Associates, we've seen firsthand the devastation caused by accidents, and the stress they cause when loved ones end up in comas. We have experience helping accident victims in comas and their families get the money they deserve. 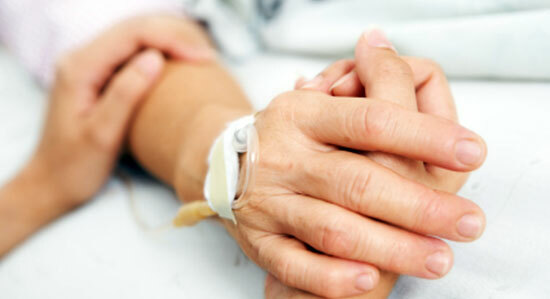 Medical bills for coma patients pile up quickly. Your loved one may have an entire team of doctors devoted to his or her care. Hospital bills, surgeries, medications, rehabilitative care, and other medical expenses may seem impossible to pay. And if your loved one will get better, the road to recovery is long and expensive. You also need to think about the future. Will your loved one be able to work again? Will they be able to earn a living? What medical complications might they suffer years from now? The bottom line is that this accident has changed your loved one's life – and your life – forever. How do you put a price tag on your loved one's lost ability to work? What about the pain and suffering he or she has endured? How are these injuries going to affect you and other members of your loved one's family? We offer a free legal consultation with no strings attached. Our phones answer 24/7 – so you can call anytime to find out if you have a case. Our law firm has over three decades of experience. We've helped over 75,000 injured people get the money they deserve. We understand how complicated injury cases can be, and we've helped victims in comas and their families get money they desperately need to pay medical bills. If you have a case and you hire our law firm to protect your legal rights, we immediately go to work for you. We protect you from the insurance companies that don't have your loved one's best interests in mind. We gather evidence and build the value of your case. We fight to get your loved one the money he or she deserves for injuries as well as pain and suffering. We take care of the hassles. We help you deal with the time-consuming paperwork. We answer questions about your loved one's medical bills. We help you understand the legal process and keep you updated on the status of your loved one's case. We'll travel to you, so you can stay with your loved one. There's never a fee unless we get money for you. Proving a case costs money – sometimes a lot of money. But if we don't win your case or settle in your favor, you won't owe us a penny. It's just one more way we take care of our clients. Don't trust the insurance company to look out for your best interests. We know you're under a lot of stress right now, but don't sign any papers or accept an offer before calling us for a free legal consultation. They will try to offer you much less than you truly deserve. Get help now. Trust Edgar Snyder & Associates – we're ready to protect your loved one's rights. We'll fight for their right to fair compensation and make the entire process as easy as possible for you. Call 1-866-943-3427, or fill out the form at the top right of this page to get started with a free legal consultation. Remember, there's no obligation to use our services. Our phones answer 24/7. Contact us now…before it's too late.